Note from Kelly: I went looking for a good full moon pic and found the above. What is amazing is that it is literally 1-year ago and the Leo Super/Full Moon Lunar Eclipse from 1.31.2018 and now we have the final Leo eclipse this week. IN-Joy!! 1/20 ~ Venus (love, finances & relationships) ~square~ Neptune (illusions & delusions): This energy is great for creative flow. If you are artistically inclined in any way, you will have access to an energy that may allow you to create something amazing. Dig deep and allow your Self to free-flow! This energy can also challenge relationships (personal or professional) to ‘keep it real’ in some way and ones which are not on a true, solid foundation are likely to dissolve under this influence. When Neptune is involved, we see life through a completely different kind of lens, often seeing the potential rather than the reality of the situation. Detach & Trust. If your relationship happens to end under this influence, it’s not necessarily a bad thing because it suggests that it was never on solid ground to begin with. Be thankful and move on. This activation is just helping you align your true values & priorities with the vision in your mind & heart, but you will have to expand your consciousness in some way, follow your inner compass and take practical steps going forward. 1/21 ~ Mars (anger) ~square~ Saturn (restriction): This is the energy of action being restricted and the anger or frustration that follows. You can either be angry and feel restricted, limited and unable to move … or you can see this energy as an opportunity to define the right actions to take and strategically plan to take them when the Universe is more supportive. This energy requires us to slow down and double check The Plan. If you proceed consciously, your plan has a better chance of success than if you were reckless & impatient. You may experience a blockage of some sort, internal or external. You may feel this tremendous urge to change or move forward in your life but seem to find blockages and limitations with every effort. That is more likely your perception than a reality, but is there any way that you feel inadequate to the task at hand? What are you afraid of? Fear is False Evidence Appearing Real – release fear and choose to be responsible for creating your life. If you don’t, your outer circumstance only becomes a reflection of your inner belief. You will attract criticism and repel support. Take your grand vision and figure out three small steps you can take on this restricted level that is still taking you in the direction of your goal. Don’t try to initiate at this time, this is a time for cultivating, planning, working behind the scenes, doing the detail work and foundational (grunt work) that is NECESSARY to support the grand vision when the time comes to fully express it. 1/21 ~ LEO Super/Full Moon Lunar Eclipse: The Leo Full Moon often illuminates the discrepancies between who you are, who you think you are and who you are perceived to be. 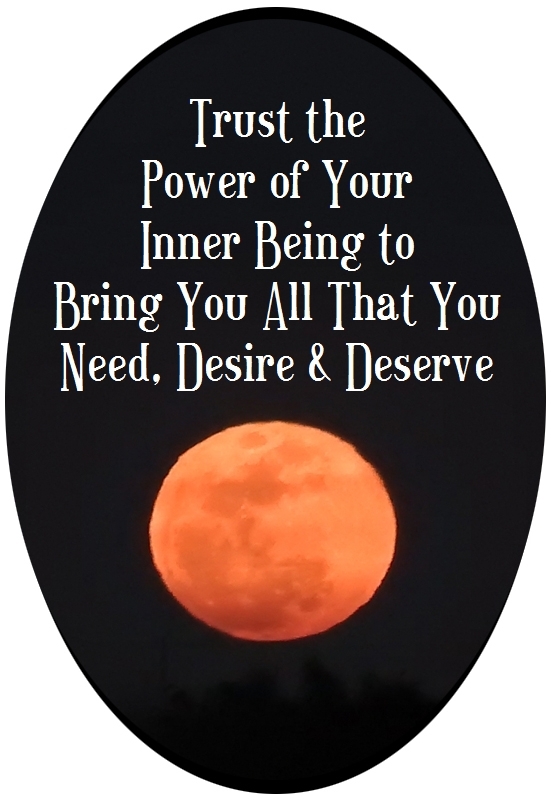 Because it is a Super Moon, you may feel it more intensely and because it is a Lunar Eclipse, you get to break a larger pattern, something that may also resonate with the years: 2008-09 & 1998-99. You are supported to do a personal (and major) release with this eclipse. Think 6-months to a year ago, what is culminating or completing now? Think 9- and 18-years ago for what has integrated within your Heart and how have you matured in your relationships. The Leo Full Moon reveals Self-Love issues and where you have been operating from the Outside-In, when Inside-Out is more effective. It may also expose where your ego has gone unchecked and/or where your Inner Child has been neglected and is now *cranky*. Play is part of being Human and something many have forgotten how to do. We must practice integrating joy into our daily lives! It is more fun & interesting to play with a variety of ideas and possible roles of who you are evolving in to (or would like to over the next 6-12 mos) and your place of service within any chosen Community. In what capacity can you shine and share your Light going forward? Use this final eclipse portal (in the Leo/Aquarius series) to release an old self or old desire of the heart so that a new, evolved version of YOU can be birthed to bless the world. It’s time to release anything that doesn’t truly express who you are so the real you can shine brighter! 1/22 ~ Venus (values & priorities) ~conjunct~ Jupiter (truth & story): This is an extremely powerful energy that brings the two *benefactors* together to initiate a new cycle that makes you very mentally “present” to the fact that both your values and your truth are shifting. This energy encourages you to improve your life in some way. You can also connect to material abundance & wealth of all kinds when these two get together like this. This is usually a pleasant shift because it is about expanding your sense of authentic beauty, as in nature & the interrelatedness of all living things. There’s also an energy of enthusiasm around new or growing relationships which attracts more positive energy. This is the best time to be creative and expect miracles! 1/23 ~ Mercury (lower mind & ideas) ~square~ Uranus (Higher Mind & awakening): This energy challenges you to expand your mind or consciousness in a way, pushing you to think differently and respond to information in new ways. Uranus brings sudden ah-ha moments, personal awareness and radical new ideas, which is great for you adventurous souls who thrive on change and new ideas. However, if you are personally attached to your routine and things ‘going as planned’, then this energy can cause aggravation and tax your nervous system because things will seem sudden (even though it is more likely that they have already been brewing under the surface for some time now). You will have to adjust and be more open & mentally flexible than usual. You may not be able to control the excessive mental activity or information-overload coming in, but hopefully you can direct it a bit. It’s good to activate or clean your personal filters by taking some time in nature to process things at your own pace and generally clear your head. This can be a very inspiring & creative time, so try to tune into that, while keeping in mind that anything you begin or get into, may require a review later so you can check over the details of your revelations (or creations). You’re just cracking the surface, this is all about the revelation or awakening, you will eventually have to figure out the logistics or effective actions necessary to bring your ideas into form. 1/25 ~ Mars (energy) ~trine~ Jupiter (enthusiasm): This energy is generally positive as you are combining your energy & desires with an expansion of consciousness. It’s especially good for anything physical and bodes well for outcomes to any competition. You will be channeling more energy than usual so be sure to check in with your body and stay grounded. Jupiter often brings blessings that others may perceive as ‘luck’ but it is more of an alignment between inner Self & outer reality. Even if things are hazy or crazy, do your best to visualize success and put your Self in the picture ; -) You will have a great overall perspective of the “big picture” and can plan accordingly. The only caveat with this energy is to avoid being OVERLY confident where you feel invincible. Be confident, not cocky. This energy is very good for knowing what you need and being capable of making succinct decisions about the course which will get you there. Calculated risks are the name of the game! * KarmicTools.com * Copyright © 2000-2019 * Kelly M Beard * All Rights Reserved * Permission granted to copy/redistribute Kelly’s Forecasts & Updates on the condition that it’s distributed freely, content remains intact and includes contact/link back to post.